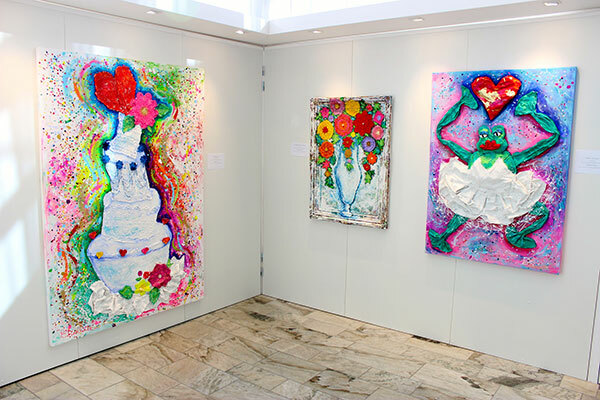 The Gallery - Gothia Towers’ very own art gallery. Not many hotels can boast that they have their own in-house art gallery. We, however, have The Gallery – an art exhibition space located in the hotel lobby. Art is important to us, and we have our own dedicated art space: The Gallery. Here, we organise regular opening nights and various art exhibitions. Art by both new and established artists on the Gothenburg scene will be exhibited here. We also organise exhibitions of a more unusual nature, often designed to reflect the fairs taking place here, or perhaps something seasonal or with a topical theme. Lena Kallevik, Director of Creative Events at Gothia Towers, is responsible for The Gallery. See our events calendar for forthcoming exhibitions.